Lock in a great price for Cosmo City Hotel – rated 8.4 by recent guests! Good location in the center of the city, nice rooms. The rooms were clean but walls needed to be painted were dirty and bed was concave. It appeared it needed to be spruced up was starting to look run down and pictures on internet for foyer entrance of hotel very misleading. narrow dirty hallway entrance. Breakfast and hotel restaurant was also not nice. We found a new Mercure hotel much closer to everything for same price we were paying and felt ripped off. Breakfast good, eggs & excellent fresh rolls a plus. Coffee needed to be a bit stronger but it was acceptable. Liked that the hotel was very close to the Pedestrian Street & the Market Square only about 2 blocks away, where we picked up the Hop on Hop Off Bus 1 of the days. Many Restaurants on the Pedestrian Street close to the Hotel. Hotel personnel very friendly & eager to help, they spoke English quite well. The convenience of the Hotel arranging a Cab round trip from the airport was greatly appreciated, the Taxi company was holding a sign with our name in the baggage claim area. Pricing about the same as at the taxi area, Budapest is a magnificent city. The location was good, on the vaci and close to the market. Breakfast was basic but not bad, they kept refreshing the food. Close to the Metro station. Staff speaks English and was very helpful. Breakfast buffet was included and very good. The staff was very helpful and went out of their way to assist us with a major problem. The room was spacious and the bathroom decent but no extra amenities, like bar soap or Kleenex. Only soap squirters. Very helpful and friendly staff when we checked in and checked out. They took our bags until we were able to check in. The bed was very comfortable. The location was amazing by Vaci Street and the Great Market Hall. +excellent location +they keep our bags after check out. Walking distance from most of the big sights. Comfortable room. Cosmo City Hotel This rating is a reflection of how the property compares to the industry standard when it comes to price, facilities and services available. It's based on a self-evaluation by the property. Use this rating to help choose your stay! 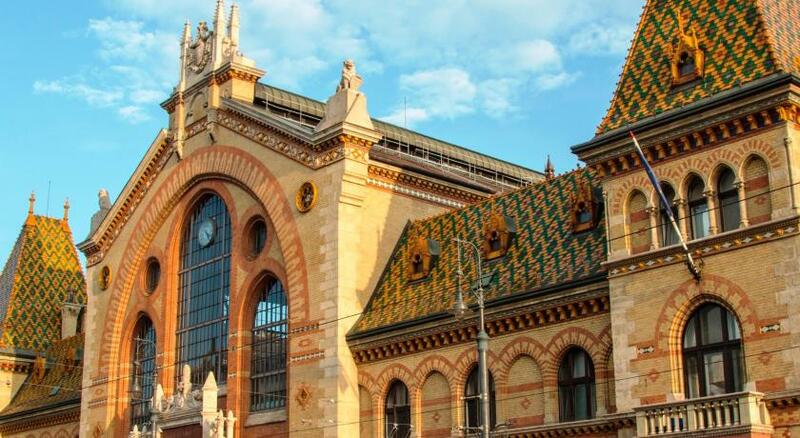 One of our top picks in Budapest.Cosmo City Hotel is centrally located in Budapest, 650 feet from the Great Market Hall and the Fővám tér M4 Metro Stop. Guests can enjoy the on-site bar and free WiFi connection throughout the hotel. Each air-conditioned room includes a private bathroom with free toiletries and a hair dryer. A flat-screen TV with satellite channels is also features. On request, in-room baby amenities, such as a baby cot or a changing table can arranged. The hotel provides 24-hour reception services where staff are ready to help guests with tour and ticket information. 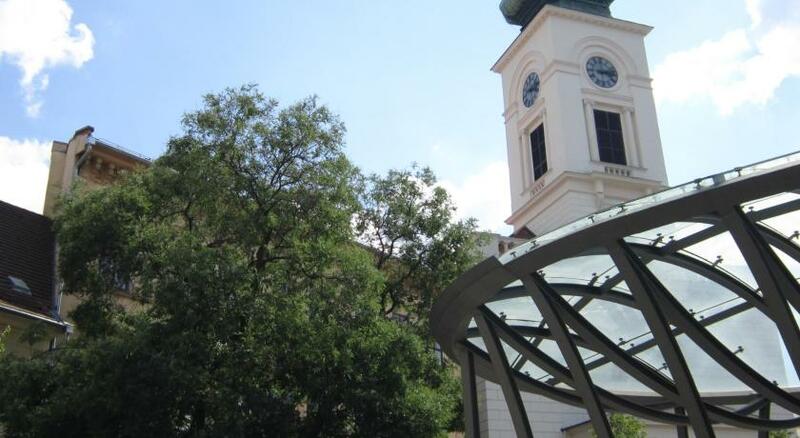 The Gellért Thermal Baths on the Buda side is a 5-minute walk from the Cosmo City Hotel. Budapest's Liszt Ferenc International Airport is located 11 mi away. 05. 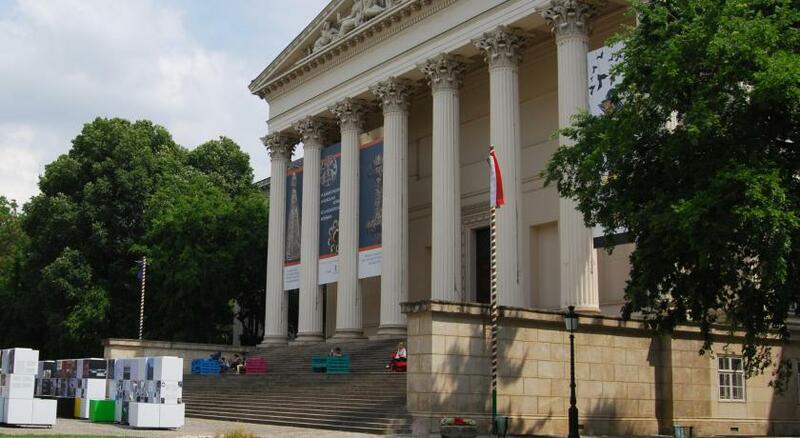 Belváros - Lipótváros is a great choice for travelers interested in food, history and culture. When would you like to stay at Cosmo City Hotel? These air-conditioned rooms are decorated with modern, colorful furnishings. They feature satellite TV, a mini-bar, a safety box and a private bathroom with a shower or a bath tub. Please indicate during booking if you prefer a double bed or twin beds. This triple room has a flat-screen TV, mini-bar and air conditioning. This family room features a satellite TV, air conditioning and mini-bar. Each of the 36 cosy, well-equipped rooms provides comfortable relaxation and the feeling of the cosmpolitan lifestyle. 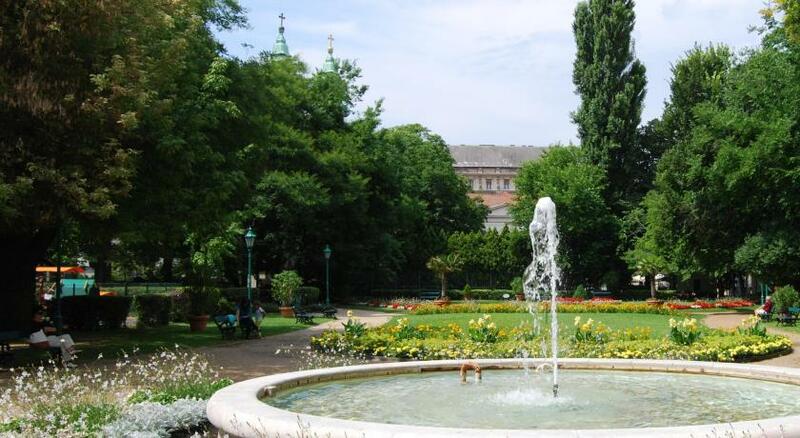 Hotel surroundings – This neighborhood is a great choice for travelers interested in food, history and culture – Check location Excellent location – show map Guests loved walking around the neighborhood! House Rules Cosmo City Hotel takes special requests – add in the next step! Up to two children under 16 years are charged EUR 20 per night when using existing beds. Cosmo City Hotel accepts these cards and reserves the right to temporarily hold an amount prior to arrival. In case of booking more than 4 rooms, guests are required to pay a deposit which is nonrefundable. Special conditions apply for these group bookings (minimum 2 nights stay). The breakfast did not have enough food and they ran out of something every morning. The other staff in the hotel was not to serviceminded. The pressure in the shower was really bad. Nice beds, clean rooms, perfect location and Peter in the reception did a great job! Airco in the room was not functioning. It needed to be cleaned after the winter rest (according the receptionist). Strange however that the airco at the reception was functioning. Room only has a window towards smaller inner courtyard where some machines (airco's?) made a humming noise. So had to choose between too warm or too noisy. Location is great. Breakfast is decent. More variety at breakfast would have been nice but the breakfast was still great!! The location was great especially for cheap but very tasty meals! The breakfast was not so good! The location is perfect near to everything! The room so beautiful and comfort! It was so clean and mostly the bathroom so spacious and hot! Staff very attentive, our room was large and everything was clean! There is small fridge inside the room! Room had no window, dirty walls and humidity. Some of the decor was dated. Breakfast: hot food was very mediocre, great eggs but hot food was always cold. The continental stuff was good though. Coffe was good. Juice was a bit synthetic. Location: perfect! Wifi: brilliant! Room: big and nice bathroom. but 2 single-duvets on a double bed was annoying. I wish the floor of the rooms were cleaner. It needs a lot of vacuuming for a face lift. Also the bathroom needs some rugs because when anyone showers, the bathroom turns into a pond. I liked the breakfast the bread was delicious. The location is really cool and close to the Big market and transport is very accessible. I like that the beds are soft enough. Limited choice for breakfast (almost no fresh fruit or vegetables), you have to come early otherwise you will only eat what is left - the staff did not bring ham or cheese when they ran out; same with black tea. Hotel conveniently located in the city centre, very friendly and helpful staff. We had very noisy neighbours and our room got changed immediately. Everything was great. We stayed there for three nights and we booked 3 rooms (we were a group of 6 persons/3 couples). The hotel staff was very helpful and friendly, the rooms were clean. We requested airport shuttle which was arranged by the hotel and it was excellent. Even though the hotel's is situated in Vaci utca there was not a lot of noise during night hours and early in the morning. Highly recommended. Bed matress was not comfortable. Nice clean hotel just 3 steps from the Vaci utca- street. 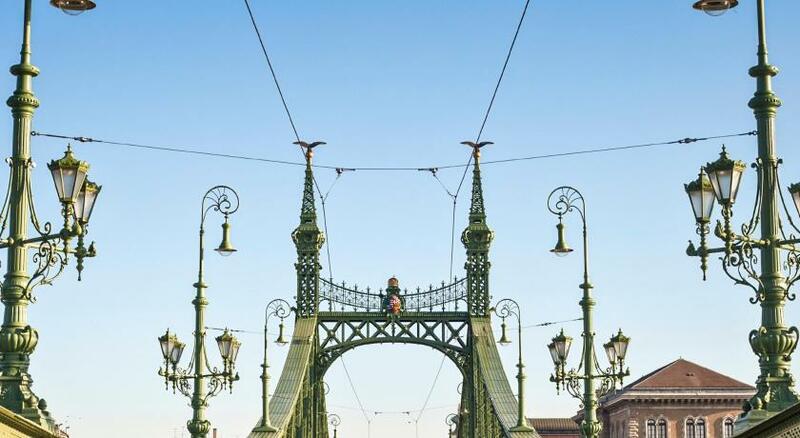 5 mins walk to the city market and liberty bridge. Basic breakfast is served in the restaurant. Room was clean and had everything that we needed in 4 days in Budapest. Good WiFi.